A few years ago I invested in ornaments that said one word: Joy. This year I will yet again strategically place them, not only on our tree, but on our hearth, on the wreath on our front door and I even one over the walkway leading up to our house. Sometimes we have to dig a little deeper to find it. Sometimes it takes sitting in silence to embrace it. Sometimes we have to cognitively realize that joy isn’t happiness. Happiness tends to be fleeting, based on circumstances, lasting for moments. Joy is something deeper. It’s a comfort, a satisfaction that sits deeper within our being. It’s something we feel at our very core. There is joy in knowing we are loved. There is joy in knowing we have a purpose. There is joy in knowing we can give of ourselves, give of our love. There is joy in knowing this season, all seasons in fact, are about something far greater than any of us could ever begin to fathom. This season is about celebrating the gift of life we all have been given, and the Creator who gave it. But joy is here. It arrived, having been born humbly, then laid in a manger unpretentiously. Joy offers us grace, mercy and love. And with joy comes hope, a hope that is eternal. My hope and prayer for all of you that in this season you know and experience joy. 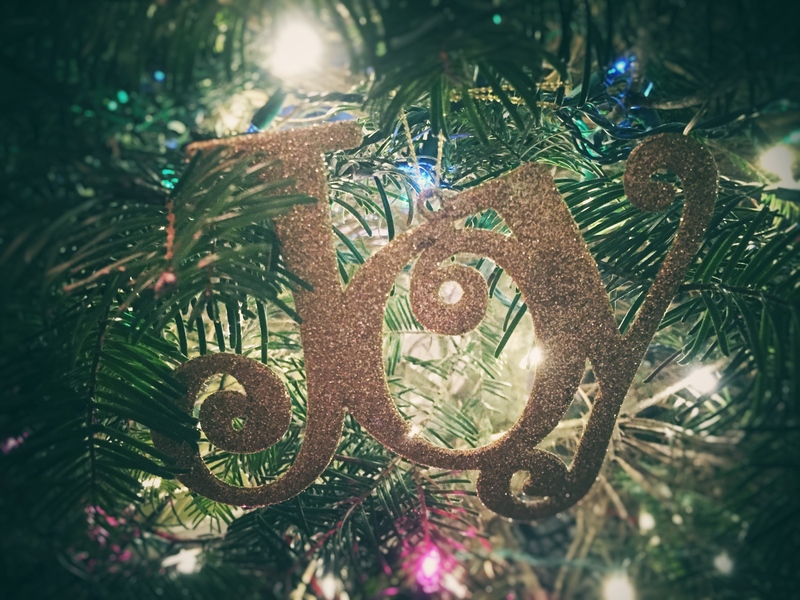 How will you embrace joy this Christmas? Posted in life, photography, WritingTagged beauty, christmas, grace, holiday, holidays, hope, iphone photography, joy, life, love, oregon, pacific northwest, Pacific NW, peace, photo, photography, random, writingBookmark the permalink.